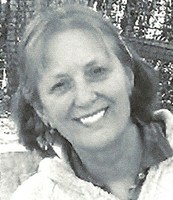 Linda Rae Green Robinson died peacefully at her home on Dec. 16, 2007 surrounded by family and friends. 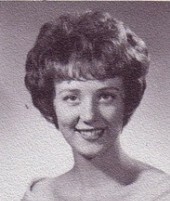 She was born July 6, 1945 in Slat Lake City to Dr. Ray and Betty Green. She graduated from the University of Utah with a degree in child development. On Sept. 12, 1969 she married Alan H. Robinson in the Salt Lake Temple. Hers was a life full of service to family, friends and church. Artistic in all her endeavors, she loved sewing and painting. She was especially talented in teaching children and had a child-like love herself for all she came in contact with. Alzheimer’s struck her early in life, but her love never failed. Everyone she met received a hug and a kiss and a whispered “I love you.” She is survived by her husband Alan, sons Nathan (Chelsea) and Gregory, daughter Kimberly, grandsons Tyler and Talon and sister Susan Green Honey (James). She was preceded in death by her parents and her brother William M. Green. Funeral Services will be held Wed. December 19, 2007 at the Hillcrest Third Ward, 8600 S. 1200 E. at 11 a.m. with a viewing one hour prior to the services. A viewing will be held at Wasatch Lawn Mortuary, 3401 Highland Dr. on Tuesday, Dec. 18, 2007 from 6 to 8 p.m.
Click here to see Linda's last Profile entry.